These Thai Turkey Burgers are on my list of favourite homemade burgers. The turkey patty has the fresh flavours of cilantro, basil and mint…all from my garden at this time of year. The topping is reminiscent of Som Tai, that favourite salad/condiment of thinly sliced, pickled cucumbers. 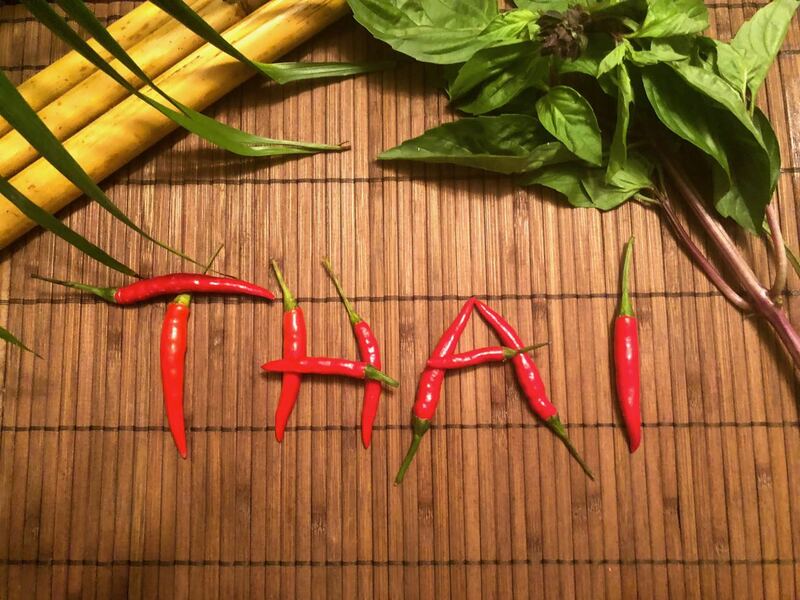 Together with a gluten free bun you can capture the flavours of Thailand right in your own backyard. For a gluten free diet there needs to be an acceptable bun. Fortunately companies have been working on perfecting the gluten free hamburger bun and there are now excellent options. Where I live they are readily available in the freezer section of many grocery stores. The key to making juicy hamburgers is to not over mix the meat. Be quick and gentle. To achieve this some recipes simply form the patty and coat the exterior in the seasoning. For these Thai Turkey Burgers I suggest you evenly mix the fresh herbs and spices in a large bowl. Then add the meat and gently mix it all together. -Fry them in a frying pan…which on some occasions completely defeats the purpose of “grilling burgers”. Burger fixins’ are personal but if you insist on using your favourite combo of mustard, relish and ketchup every burger will pretty much taste the same. Once you are willing to try any toppings then the burger is a blank canvas only limited by your imagination. Let me know in the comments below how you served your Thai Turkey Burgers. In a small bowl stir together the vinegar, brown sugar, salt and red pepper flakes until sugar is dissolved. Add cucumbers and stir to coat. Set aside while making the burgers, preferably 30 minutes. Line tray with wax paper and set aside. In a large bowl add garlic, ginger, fresh herbs, lime juice, sugar, anchovy paste, cayenne and breadcrumbs. Mix well. Add ground turkey and gently mix to combine. Loosely form into 4-6 turkey patties and place on wax paper lined tray. Sprinkle with salt and pepper. Place patties in freezer for 10 minutes before grilling. Grill on high heat until cooked through turning once, about 8 minutes per side. Put mayo and lettuce on one side of the bun. Top the other half of the bun with the turkey patty and pickled cucumbers. Serve remaining cucumber salad on the side.